This two-piece suit simply screams “fun in the sun!” It includes a string-bikini style top and full-coverage bottoms. 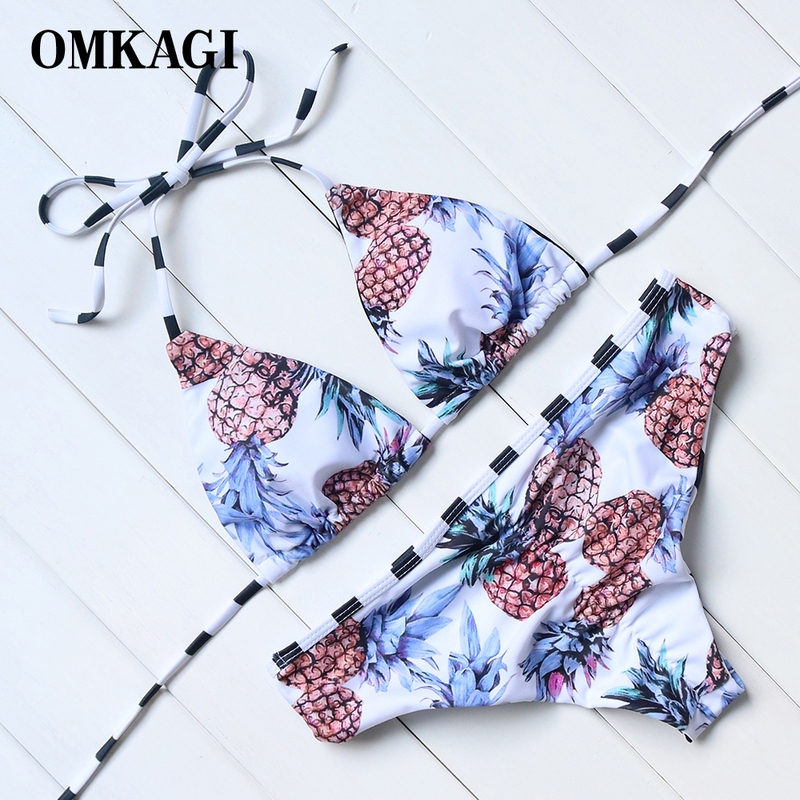 The background is a pale blue that is highlighted by bright blue pineapple tops. The suit is lined in black to prevent see-through issues. 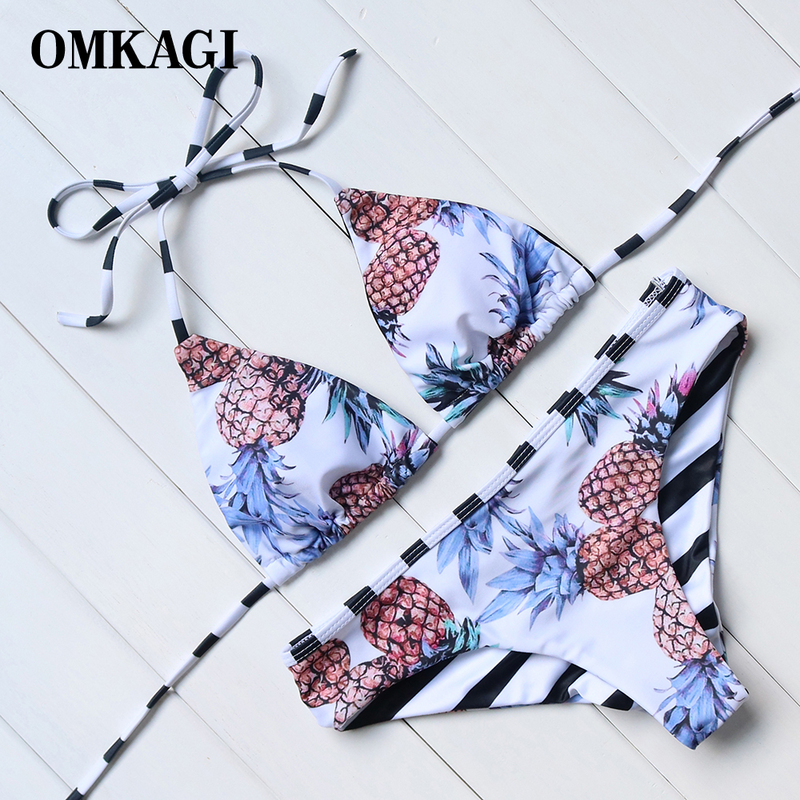 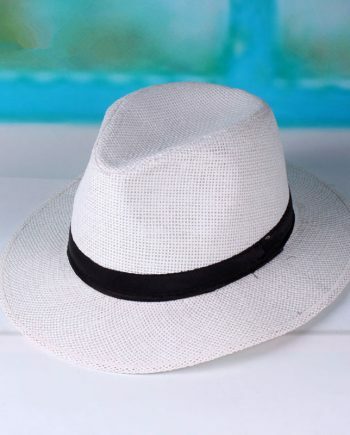 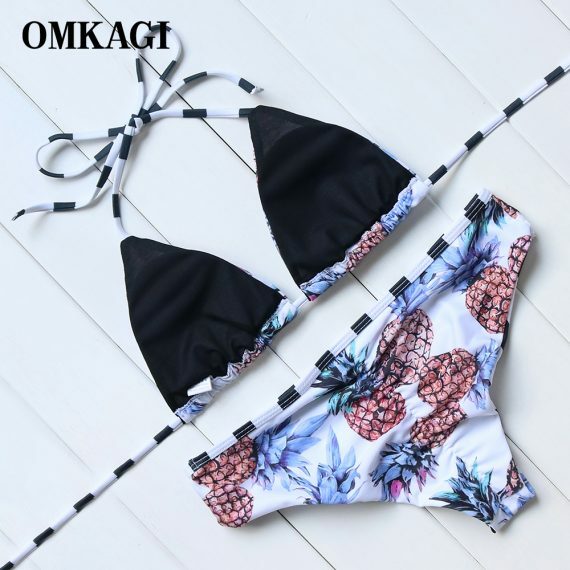 The strings on the top and the thin waistband are a simple alternating black and white pattern that perfectly contrasts the pineapple print.